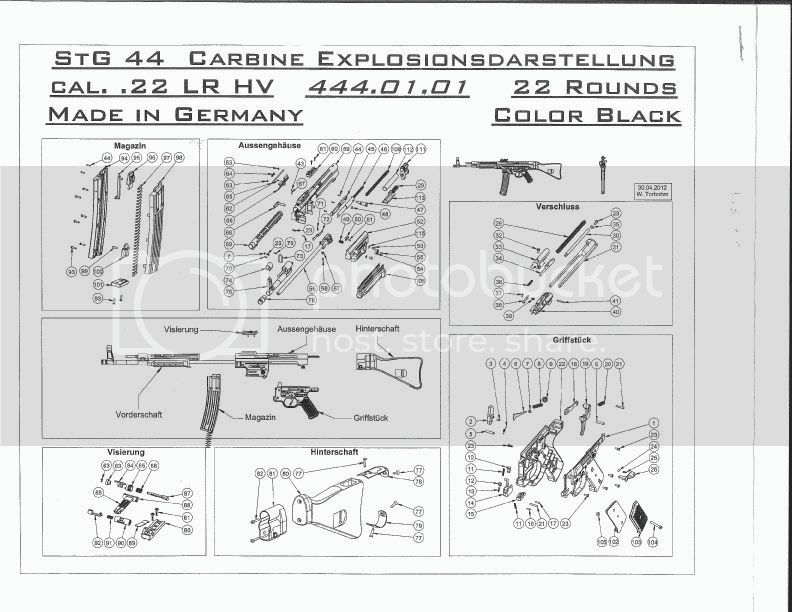 I think others might be interested in the STG44 Exploded Diagram which ATI sent me. However, I've very computer illiterate so I don't know how to attach it to this posting. Is there some way I could send it to the site moderator and they could attache it to the site? I think I was able to convert the PDF file to JPG file and it is attached below.